If there’s a common theme among the top four fighters competing in the main and co-main events at UFC 232, it’s that legacy is on the line for all of them. Jon Jones will make his long awaited return to action against Alexander Gustafsson in a rematch that follows their first meeting five years ago, a bout that is considered one of the greatest fights of all-time. Following that five-round war the first time around, Jones said very openly that he underestimated Gustafsson and didn’t take his preparation very seriously. He promises that won’t happen a second time. 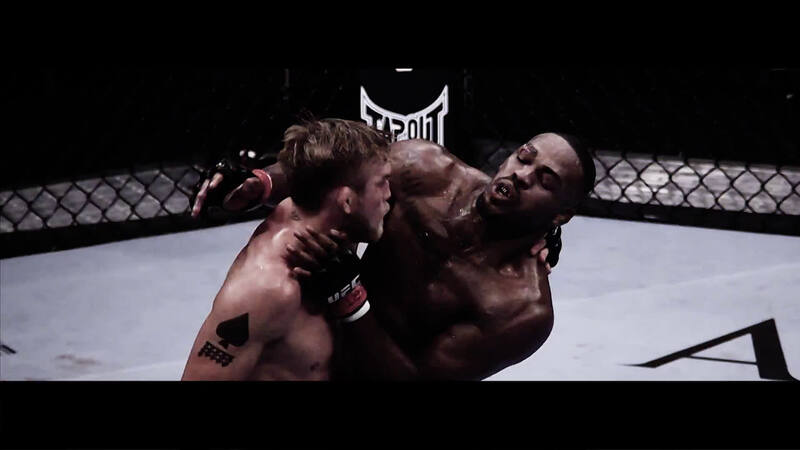 On December 29 a rematch between Jon Jones and Alexander Gustafsson headlines UFC 232 after the two combined for an epic title fight at UFC 165 back in 2013. In the co-main event featherweight champion Cris Cyborg takes on bantamweight champion Amanda Nunes. “Training for this second fight, me and my coaching staff realized how underprepared we were the first time,” Jones said during the UFC 232 media call on Thursday. “Alexander brought a different game to the game. It was something that none of my teammates had prepared me for. We just overlooked him. We overlooked him completely. For Gustafsson, the rematch is the culmination of a rivalry with Jones that stretches back to 2013, when he came within one round of handling the longest reigning light heavyweight champion in history his first legitimate loss. As much as he still believes deep down that he won that first fight, Gustafsson knows that he’s going to offer Jones a whole new challenge this time around. 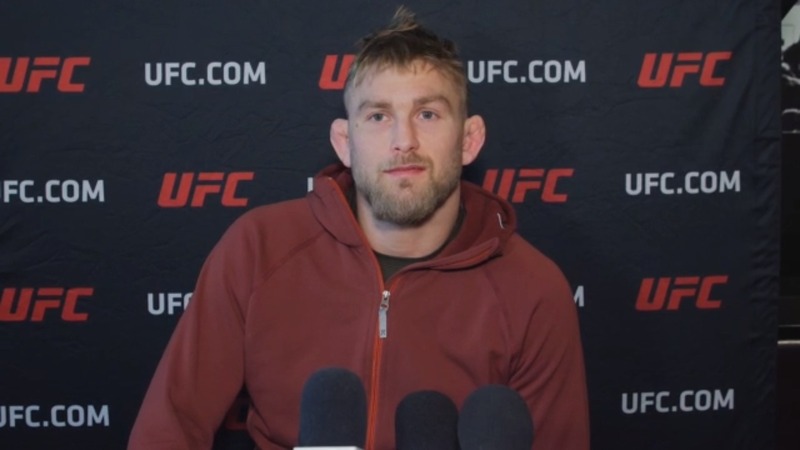 UFC light heavyweight contender Alexander Gustafsson addresses the media before his UFC 232 title-fight rematch with Jon Jones. “I’m just physically and mentally ready for this task now,” Gustafsson explained. “It’s the right time for me. I’m just a different type of fighter now. I’ve been developing everything in my arsenal. I’m better in every aspect. I’m faster than ever. I’m a smarter fighter. While the two prolific light heavyweights didn’t agree on much, Jones and Gustafsson both promised that the judges wouldn’t get involved this time. Because the first fight ended in such razor-close fashion, Jones wants to leave no doubts about who is truly the best light heavyweight in the sport when UFC 232 is over. Gustafsson said much the same, especially after he’s twice fought for UFC gold and each of those opportunities ended with a heartbreaking decision going the other way. In the co-main event, Cris Cyborg puts her featherweight title on the line against reigning women’s bantamweight champion Amanda Nunes in a showdown between arguably the two best pound-for-pound women’s fighters in history. Cyborg has widely been considered one of the top women’s fighters for the past decade, but an argument could made that Nunes will be her toughest opponent to date. “I always take very serious every opponent I fight,” Cyborg said about Nunes. “Amanda is a very good athlete. She’s the champion at 135. I’m the only female fighter getting three different world champions in different divisions and different organizations and different matchmakers. When looking at the stylistic matchup, Cyborg respects the weapons that Nunes brings into the fight but she doesn’t spend too much time examining everything that her opponent might do when they clash on Dec. 29. Instead, Cyborg prefers to make Nunes worry about what she’s going to face inside that Octagon. “I never look at my opponent’s dangers,” Cyborg said. “I train very serious for my opponents and to be ready in any situation. I’m ready to go five rounds for Amanda Nunes. I’ve watched all of her fights with my team. I know her mistakes. I know the mistakes she continues doing. Over the course of the past decade, Cyborg has rarely been challenged, much less pushed to the brink of defeat by any opponent she’s faced. Until her fight against Holly Holm last year, Cyborg hadn’t even dropped a round to an opponent in several years, so it’s not easy to identify mistakes in her game. Nunes understands that Cyborg has been a force of nature during her career but that doesn’t mean she’s invincible just because no one has found a way to beat her. “We all know Cris is very powerful. She’s strong. We all know that. Let’s be honest with each other,” Nunes said. “Of course every single fighter has mistakes. Everybody has mistakes. But sometimes people don’t know how to capitalize and do something about it in the fight. This is the thing. Of course, Cris has mistakes. A victory at UFC 232 would make Nunes the first woman in the UFC to hold two titles in two different weight classes as well as the first woman to hold two titles simultaneously. That accomplishment alone would put Nunes into a category all to herself, but when combined with wins over the likes of Ronda Rousey and Miesha Tate, her resume would be virtually unmatched by anybody else in the history of the sport. “Yes for sure,” Nunes answered when asked if a win over Cyborg would make her the greatest of all-time. “I think Cris is the best in her division.